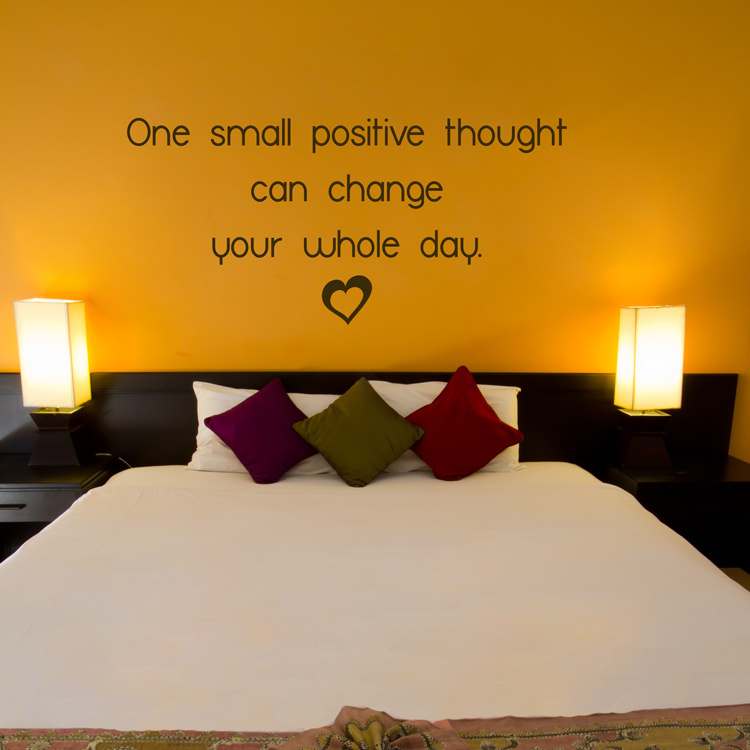 One small positive thought can change your whole day. Start your day off right with this motivational wall decal! Or hang it up in your office to remind yourself that the stupid and silly things don't need to ruin the rest of your day. Change it around! Our wall decals are ideal for bedrooms, offices, living rooms, entryways, classrooms, your laptop, refrigerator, mirrors, and even your car or glass shower doors! The Large version of this wall decal is intended to be split apart and spaced differently before application, but can be applied however you choose! The Small and Medium sizes comes in one piece, ready to apply.